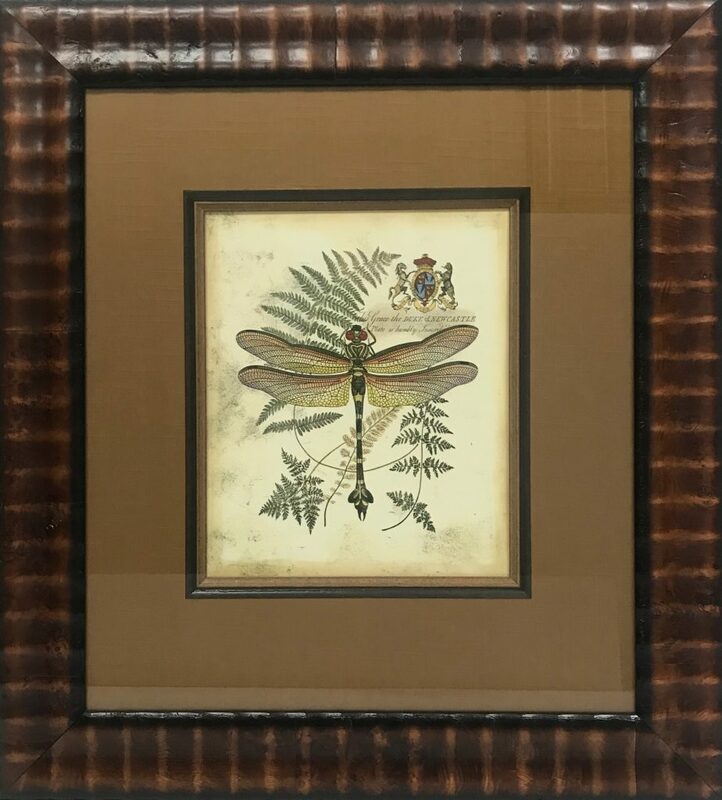 This Antique Dragonfly giclee is a hand-colored engraving reproduced to look like the original image that was found in the 16th- 19th century. We framed it in a brown linen mat with two wood fillets and finished it with a wide three-inch burl frame. Looks like it came out of a castle!